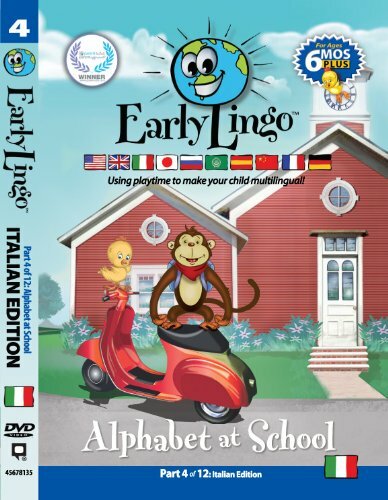 The Early Lingo Italian Language Learning System is the first of its kind, offering animated and live-action videos, workbooks and lessons, apps and flashcards that teach your child the basic foundation of a foreign language. The award-winning DVD series is organized into six interactive programs using a playful approach to learning with stimulating visual content of everyday activities featuring the animated characters, Jojo and Lulu. Please find our products below. You can watch a preview of each DVD or click to buy directly. As an added bonus, you can also order the full Early Lingo Italian 6-DVD Box Set and save! If you love Early Lingo, you’ll love our new Italian Language Learning System Box Set discount! Get all 6 DVDs & SAVE!